Logically you might ask how is this different to “responsive” design. Responsive design is a mobile version of your desktop web site, optimized for mobile/tablet screens. It’s using your original web site design, your call to actions, your banners, various on page elements/sidebars, contact forms and of course, all your JS and 3rd party tags. Accelerated Mobile Pages on the other hand will strip out your web site’s original design, your CTA, your sidebar forms and all onpage elements, so it’s NOT a replacement for responsive design, and you are not advised to implement it widely across your whole site. 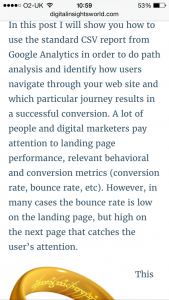 This especially applies to your acquisition-focused landing pages. 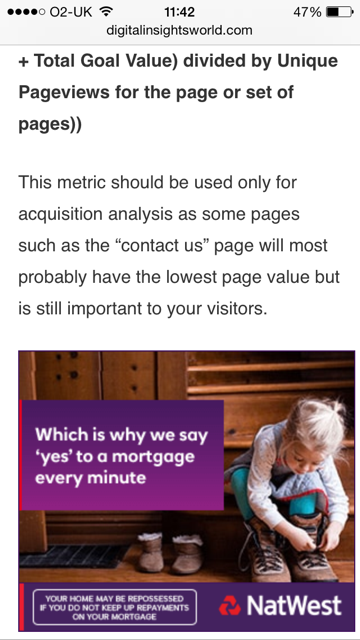 However, it’s a good way to speed up your blog and article pages – remember that this is aimed at publishers, so this is intended for content websites newspapers or blogs. For those who have create a web site with WordPress, it looks like pretty much like the default page with the infamous “Hello World” post. If you want to know more details about AMP, feel free to head over to the official page. AMP will be very useful to blog owners and publishers that have a strong presence in social media, especially Twitter and Facebook. The Safari (in-APP) browser (pages that open in a UIWebView), known for its page load issues, presented no pageload delays when an AMP version was loaded. The downside to this is that there are no social media buttons, sharing is disabled, but as expected, there is a plugin t0 sort all of this out. What are the SEO benefits of Accelerated Mobile Pages? According to Google, mobile friendly web sites that pass Google’s Mobile speed test appears higher in search results, with non-responsive pages already banished from the first page. Having said that, accelerating your mobile pages will definitely give a good boost to your search rankings on Mobile. Do not underestimate the fact that this SEO boost is aimed ONLY at mobile devices. In the UK, mobiles already overtake laptops and is the user’s preferable device. Ofcom’s 2015 Communications Market Report finds that a third (33%) of internet users see their smartphone as the most important device for going online, compared to 30% who are still sticking with their laptop. In 2014 those numbers were 23% and 40% respectively. Furthermore, smartphones are now the most widely owned internet-enabled device (66%), on a par with laptops (65% of households) so this is a great opportunity to be ahead of the competition. I personally use Yoast SEO plug-in for wordpress instead of the default Genesis SEO plug in for multiple reasons, thus this guide is for those who use Yoast’s plug-in. The AMP plug-in for WordPress will open both AMP and Instant Articled in case you already use them on Facebook. 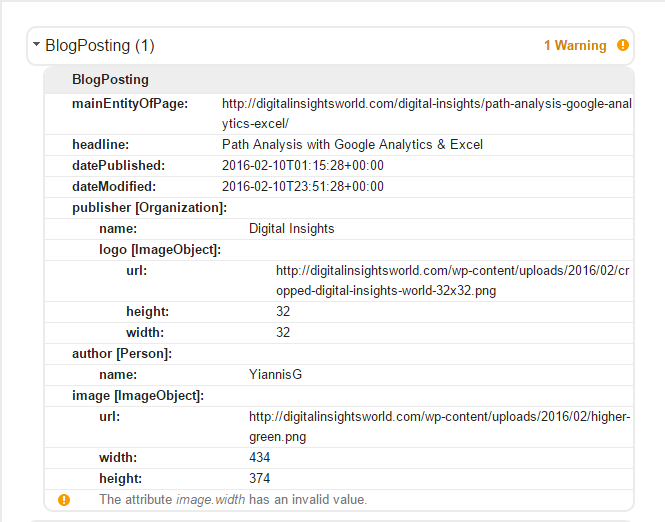 By default it will pick up your pictures, content, WordPress tags and breadcrump. 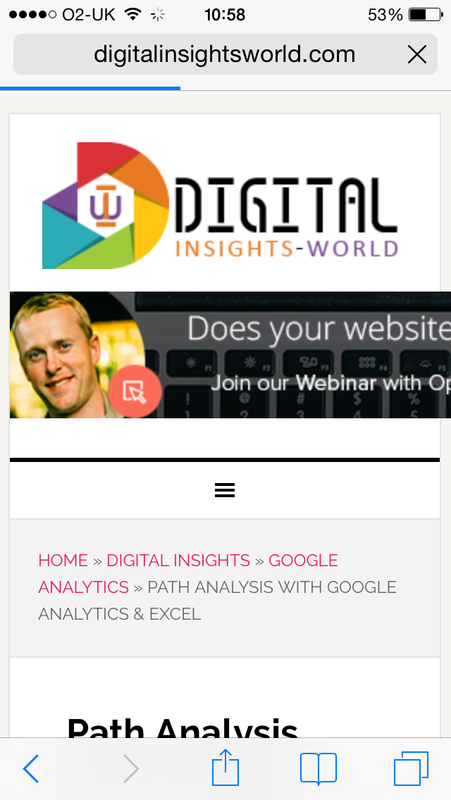 You will notice that the formating on the AMP is simpler, the social icons are gone, the banner is significantly smaller and the adsense banner along with the breadcrumb, is also gone. However you can get all that back with the use of AMP styling plugin. This plug-in will make your AMP pages look prettier and also add some additional features such as Google Analytics, Google AdSense, Featured Image and Social Sharing. On the Styling options, make sure you tick the AMP HTML box. This will guarantee that your articles will be served in AMP HTML format when someone visits the post via Social Media such as Twitter, Google Plus, Pinterest and LinkedIn. Once you activate this plug in your /amp/ posts will redirect automatically to your original posts and the preview you saw when you activated the AMP plug-in is gone. 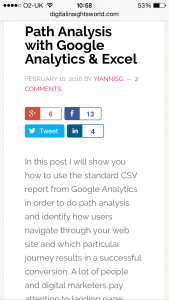 Before you panic, this happens because you can enable or disable AMP HTML on an adhoc basis whenever you want in whichever post you want by a new “Mobile Preview” tag within your post editor (You will find it above the Publish tab on your right hand side). 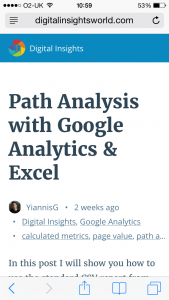 Then move to the Analytics Option and Click Enable on GA. You will now log in to your Gmail Account and once you do that, it will import all the google analytic properties that your email is linked with. Find the relevant property and then click “Choose site”. You will do exactly the same for the Ads Option but here once you connect with Adsense, you are presented with a couple of more options. Firstly select the Ad Unit you would like to display to your pages. 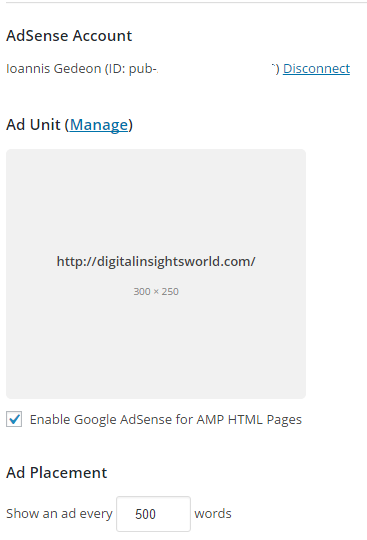 Then click on the “Ebable Google AdSense for AMP HTML Pages” and then select how often you want your ads to appear ( X words), I selected 500 words. On the “Default Setting for new posts” select posts and then disable on pages. 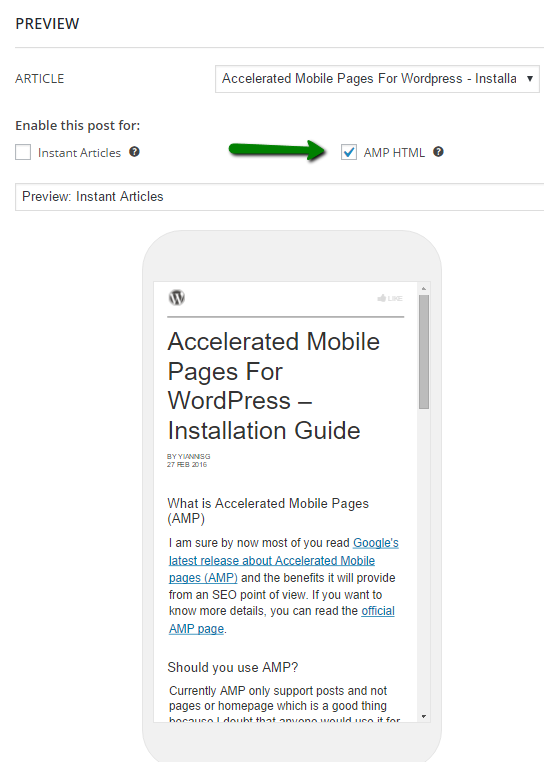 For those who do not have WordPress and still wish to implement Accelerated Mobile Pages on their posts there is a good starting guide published by Search Engine Land. I found a nice video on YouTube that explains how to add the “related posts” feature to your AMP wordpress pages. Just make sure your developer checks the code recommended first. 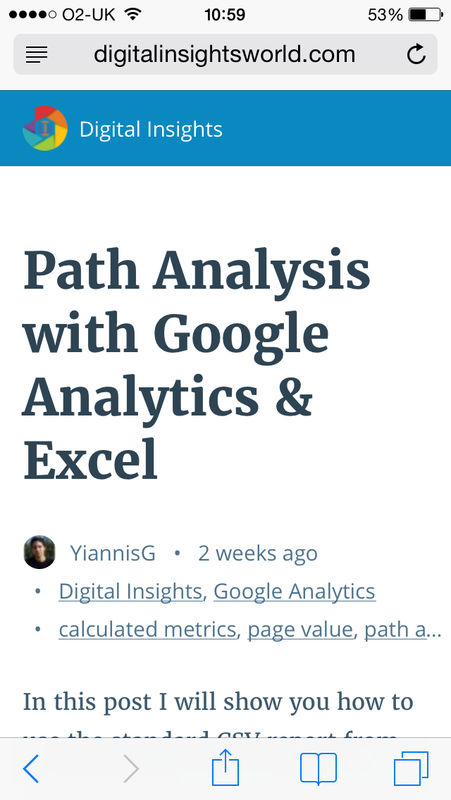 Yiannis has twelve years experience working in digital marketing and was an early enthusiast and adopter of web analytics. He is currently working as a senior digital analyst and has held different positions at various companies such as Tesco, Gain Capital, City Index, Art Division, Middlesex University, Ford, Honda to name a few. 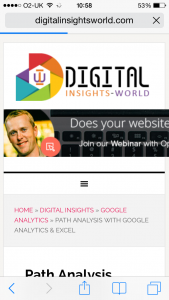 He has also worked as a consultant for various private firms and digital agencies, primarily for web analytics and biddable media set up & optimisation. In his spare time he is working on various SEO projects - but in reality he is trying to outwit Google.